*Results may vary, Rob B., Boise, ID. 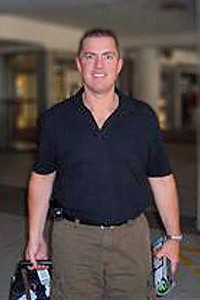 I first heard about Gastric Bypass in the summer of 2007 as a treatment for obesity. Doing my research, I found out about “Centers of Excellence” accreditation that the best practices get. Living in the mid valley, there are no COE’s here, the drive to Portland was no problem—this was my life. I attended an informational session for the Oregon Weight Loss Surgery team and felt very encouraged by the caring staff and Dr. Jan. These guys are a class act from beginning to end!! They even remembered I really like sugar free Jell-O and protein shakes (it was my first set of meals in the hospital following surgery). I followed their plan and had my surgery Nov 29. 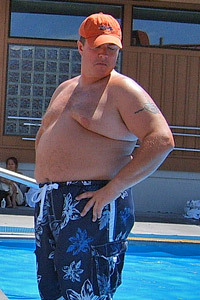 My peak weight in July of 2007 was about 320lbs, today March 20, 2008- I weigh 217. Has it been easy? No. but by following their plan to the letter, my success and recovery have been incredible. Eat what they say to eat, drink lots of water and exercise is a must!! It is amazing 100lbs lighter how fun exercise is. Now when I have a bad day, I go for a long walk or short run—and it is fun!! I keep a before picture in my car, just in case my will power is low and I need a reminder of what the drive-thru can do to your body, inside and out. One more thing, I am just about 100% off of any medication I was on prior to surgery and my most recent heart examination showed no signs of failure and my Cholesterol is about 130, down from way over 300. Bottom line, my only regret is not going to an informational session sooner and getting my life back on track 2 years ago.